10 x 10 x 8 ft. Wire mesh preconfigured Security Cages with 2 sides and no roof. 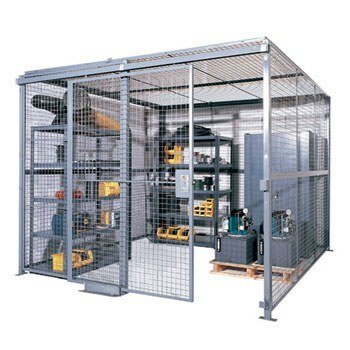 Commonly referred to as wire cages, secure lockers, secure partitions or secure rooms. Ideal for large and small warehouses. These cages are the cost-effective solutions for organizing and securing your storage space. Available in corner model (2 sides), three-sided and four-sided, all with OR without a roof.